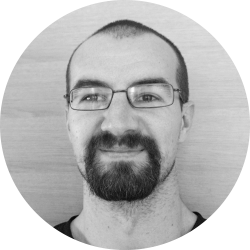 Željko jumped on the iOS train in 2009, just six months after the App Store has been opened to public so it’s safe to say he’s the the most experienced iOS developer on the team. He’s currently learning the ins and outs of backend development to further expand his skills. 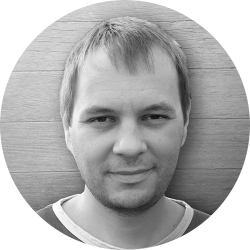 Natko is a very experienced developer in a wide variety of programming languages and technologies. Yet, he is always ready and willing to learn another one! Very thoughtful and pedantic about coding. 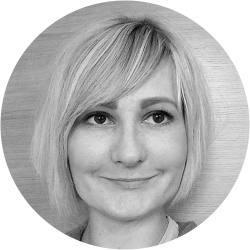 Kristina has had the pleasure of working in small agencies as well as in large firms as a lead designer. With over 10 years of digital design experience, award winning projects and projects designed directly for clients like Nokia, Microsoft, Audi etc., rest assured that you will receive the right input and design direction that your project/brand needs. For more references you can check out her UX/UI profile at Toptal designers. 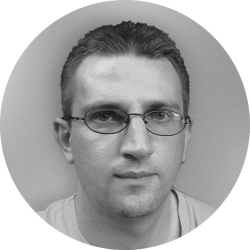 Sinisa has more than 10 years of experience in creating custom web sites, applications and services. If you have a need for a solution that is not yet on the market – he’s your guy. He will create the most reliable backend solution for your mobile application or data management using the latest technologies. We dig into research before starting any UX or UI design – we simply have to know what’s new on the market, the latest and future trends before deciding what design direction is the best for the product. Each design idea, sketch & wire-frame is discussed and presented to the client. This is the part of the process where app becomes alive! The designer is overseeing every new build to make sure Ad Hocs are accurately portraying final version of the user interface design. During the agile development, client is in tune in every step of the way. Throughout the development phase we conduct thorough testing – having quite an impressive base of devices the whole team is involved in the test phase and all the inputs are rapidly incorporated in next iteration of the application. As soon as the polishing phase is done and the application is perfected, we’ll be glad to help you with all the steps needed to publish your app! With over 80 apps successfully live on the market, we’re the best assistance you can have.